Time hadn’t treated the property at Middleton Road kindly. 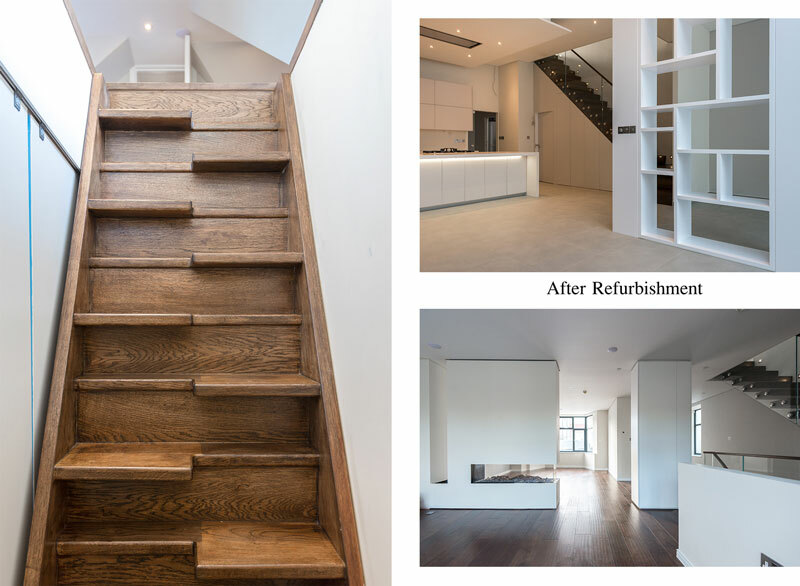 This impressive three-storey house had been converted into separate flats over time with a lack of consideration on how to best use the space. 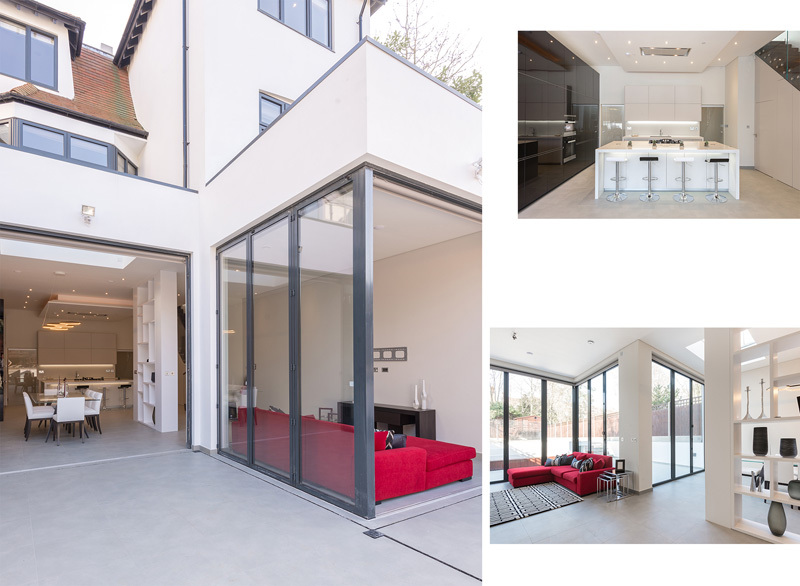 Thankfully the new owners wanted to restore the property to become a family home – and one that was show-stopping, stylish, contemporary space. It’s exactly the sort of brief that ani M INTERIORS excels at. 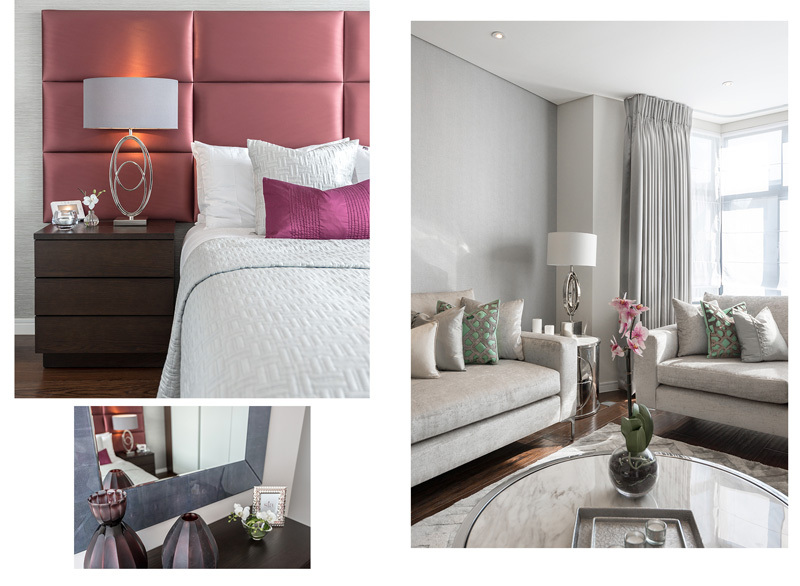 Our team went on to create a sophisticated modern home using neutral tones, simple lines and reflective surfaces to maximise the sense of space and light. 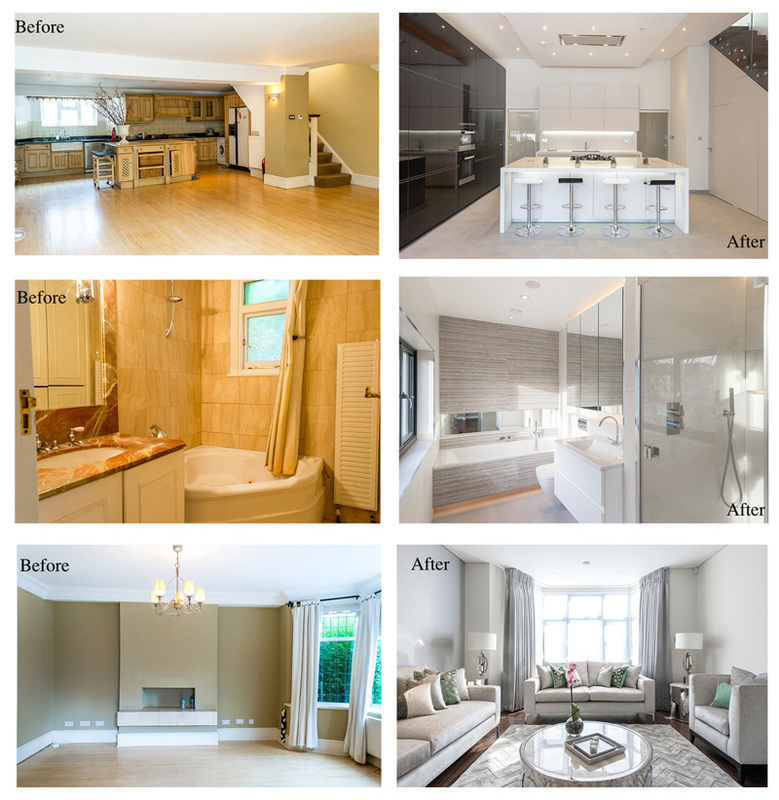 The home needed to be beautiful yet functional, and one that suited family living. 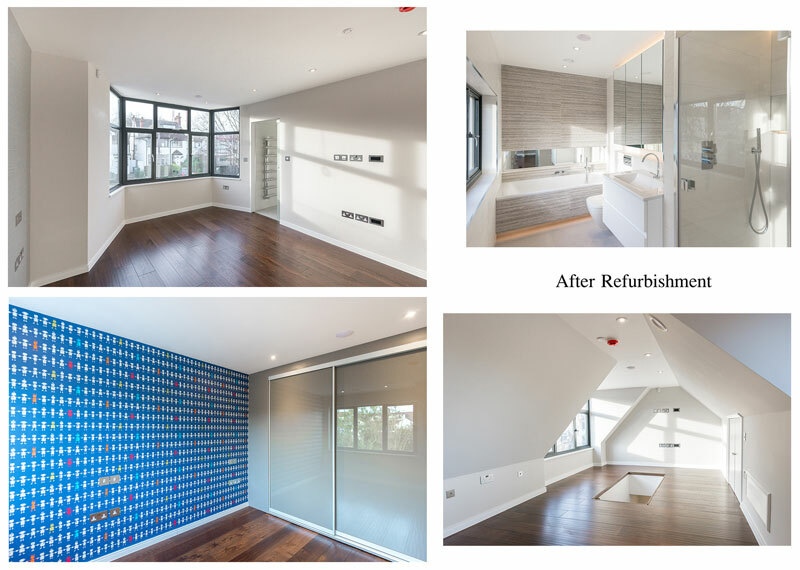 The project involved a complete refurbishment, taking the house back to brick, removing all the floor surfaces, windows and doors, completely rewiring, re-plumbing and in some cases, altering the dimensions of the rooms. It might seem dramatic but the existing mismatch of styles, colours and finishes made for an overwhelming look and feel. 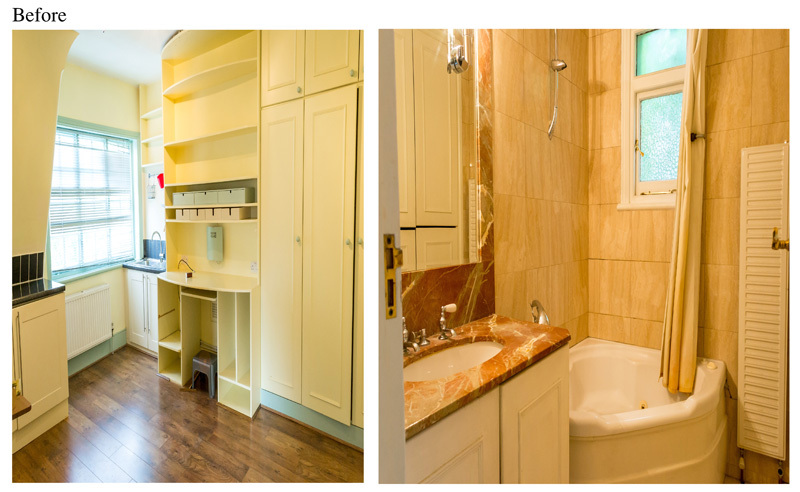 Moreover, each room had a kitchen utility area and bathroom area, in some cases, next to each other. The entire space needed stripping back and rethinking. Once they had a clean slate to work from, the team planned the flow of the five bedrooms with en-suite bathrooms, the master bathroom, the three reception rooms and the large open-plan kitchen and lounge on the subterranean level which opened up onto the garden. The brief included harmonising the space with raised ceilings, open-plan areas and using bespoke fixtures such as windows, partitions and floating staircases. Care was taken to use high quality materials and finish the spaces with aplomb. It is this attention to detail in a refurbishment that sets ani M INTERIORS apart from the competition. 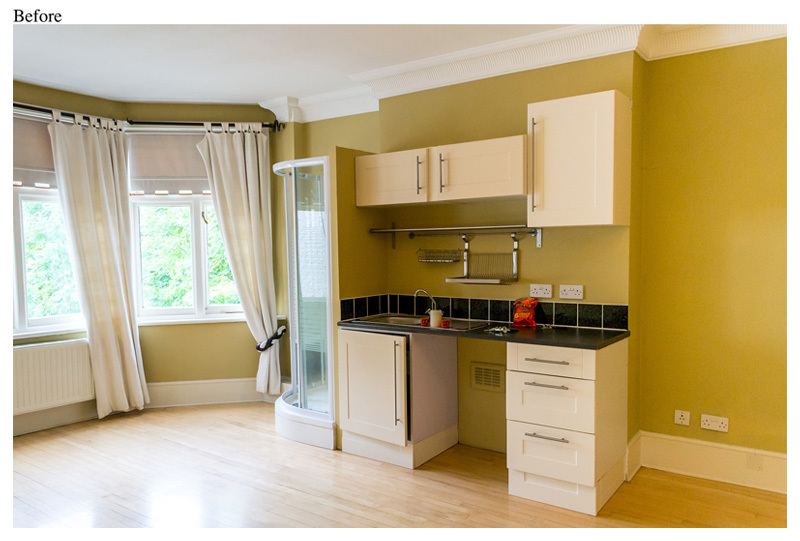 The property was then treated to the best interior design in consultation with the owners. Elegant, modern furnishings define each room. The monotone palate is accentuated with soothing hues, while a smattering of metallic tones and smart geometric patterns bring an air of understated luxury. The end result is a stunning home. But the pièce de resistance has to be the subterranean level with its open-plan kitchen, dining and reclining areas which overlook the garden. Floor to ceiling windows flood the space with natural light. Glossy monochrome surfaces glint in the sunlight while glass furnishings such as the table lend the space an ephemeral air. The plush red couch adds a bold splash of colour and the same red is accented with ornaments around the room. The scope and the finish of this whole project are impressive and it’s the attention to detail that makes it a masterpiece. 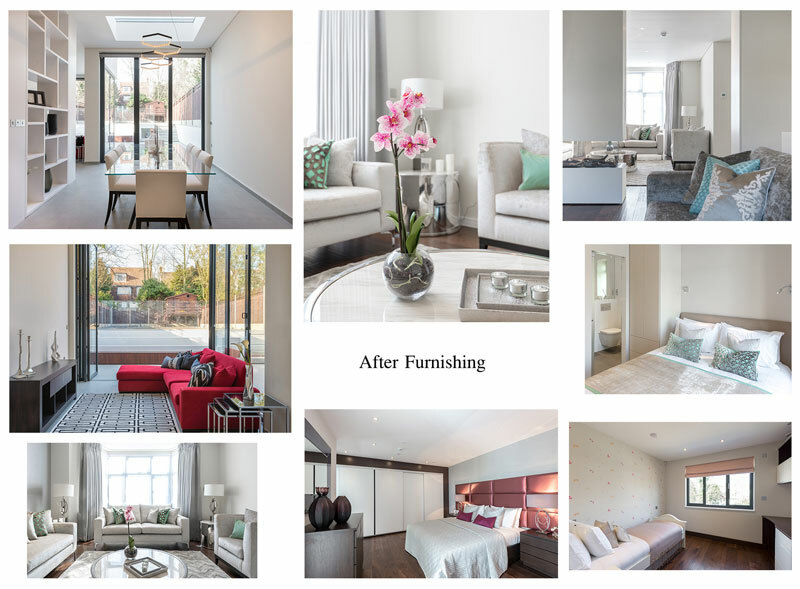 If you would like to see what the ani M INTERIORS team could do for your property then please do get in touch or take a look at our brochure for further inspiration.